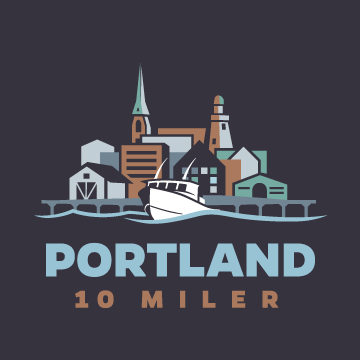 The second annual Portland 10 Miler on April 28, 2019 is 100% sold out! Thank you to the 2,100 registrants. We can’t wait to see you at the finish line this spring! 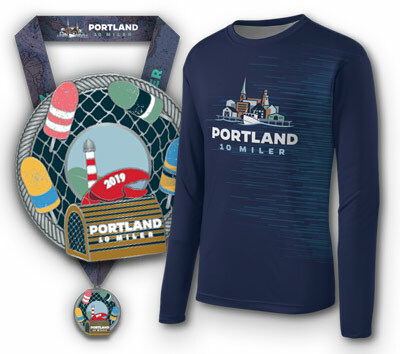 All registered participants will receive a long-sleeve tech shirt with Portland 10 Miler artwork. All finisher’s will receive a branded finisher’s medal. There are three suggested parking locations for the event, all on a first-come-first-serve basis. Arriving early and carpooling are strongly recommended. 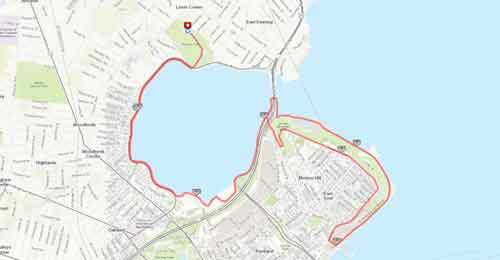 Edward Payson Park at the Sebago to the Sea Trail entrance (map). Note: this lot will fill up early and is only accessible from Baxter Blvd. which will be shut down to traffic at 9:30 AM. Neighborhood Parking on Washington Ave, Presumpscot St. and the surrounding side streets. Please be respectful of our neighbors and park only in designated street parking. Spurwink Services (map) is just a short 0.25 mile walk from the race start and finish, and has ample parking available on race morning. This option is strongly recommended. There will be a designated athlete bag drop area, but the Portland 10 Miler team and our volunteers are not responsible for any items lost, damaged or stolen. You must provide your own bag. If you have items of importance or value, we recommend using leaving them in your vehicle. 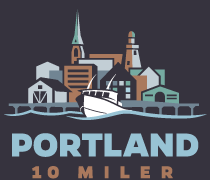 Registration for The Inaugural Portland 10 Miler is now CLOSED. The event is 100% sold out. We’re thrilled and humbled by the overall response to the inaugural race, and can’t wait for April 22. Registered participants will receive their race bib with timing chip and athlete shirt at bib pick-up. Since the race is sold out, we will NOT be offering onsite registration. All participants must present a photo ID to pick-up their bib. Participants may pick-up for friends and family, but must provide a copy of the ID or a photo of the ID on their phone for verification – we will be diligently checking ID’s to ensure no runners bibs are handed out without their permission. 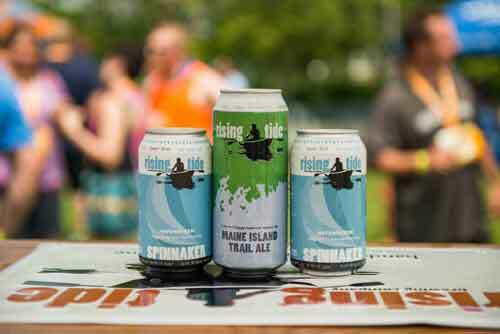 It is recommended that all participants attend Saturday registration at Rising Tide to enjoy a beer and to alleviate race morning delays. NOTE: There is no onsite registration. The event is sold out. Registered participants will receive a race bib and timing chip at registration which will be held April 21st at Rising Tide and on race day at Edward Payson Park. Runners can pick up their bib and timing chip on race morning, however it is recommended that all runners attend Saturday registration to alleviate race morning delays. 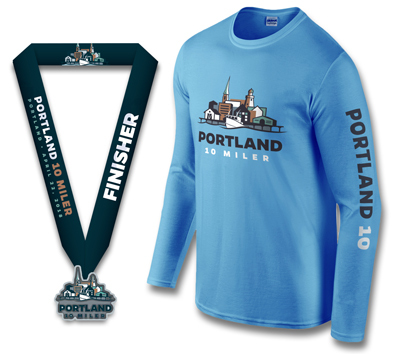 All registered participants will receive a long sleeve cotton t-shirt with Portland 10 Miler artwork. All finisher’s will receive a branded finisher’s medal. 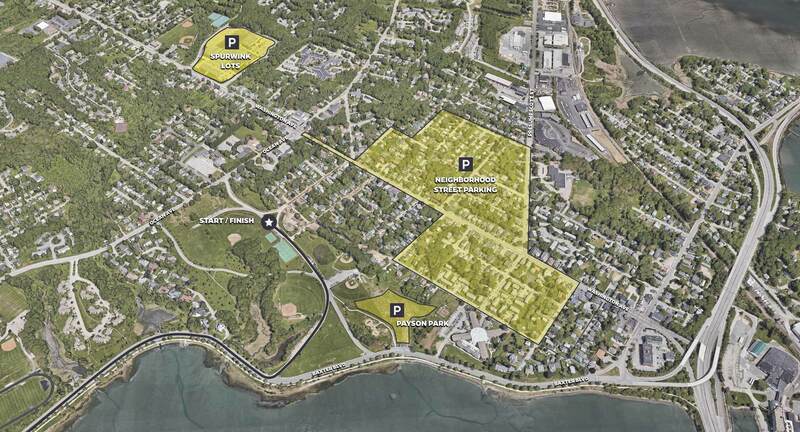 Limited parking will be available on a first-come-first-serve basis onsite at Edward Payson Park at the Sebago to the Sea Trail entrance (map), walking distance to both the start and finish. Additional parking is available in the surrounding neighborhoods off of Baxter Blvd. We strongly encourage carpooling and arriving early to find parking. The Mobile Locker Co. will be on-site at the Portland 10 Miler for your storage needs! You can reserve your locker ahead of time online here. We will also have an athlete bag drop area, but the Portland 10 Miler team and our volunteers can not take responsibility for any items lost, damaged or stolen. You must provide your own bag. If you have items of importance or value, we recommend using the Mobile Locker Co.